While photographing the gates for my earlier post several onlookers of the four-legged variety spied on me. At least, they tried to, despite the aforementioned gates. This town is full of dogs you never really get to see. You hear the barking, then the rushing toward the gate—all part of the well-contained attempt to scare you away. And then, after you’ve imagined a ferocious beast, a sweet little snout appears in the gap between the dirt and the enclosure. Sometimes they carry on barking. Sometimes they whine. And sometimes you can hear a tail wagging on the other side: trespassing forgiven. This entry was posted in AROUND US, FRANCE and tagged country, dogs, french. Bookmark the permalink. HI! !How is your four legs variety??? Nana was eating on Monday 2 very big”pansements” for his foot and we are expecting the…”rebirth”…. she have to drink parrafin oil for that.. Thanks for the translation. I would never have figured out “pansements”. We missed you!!! 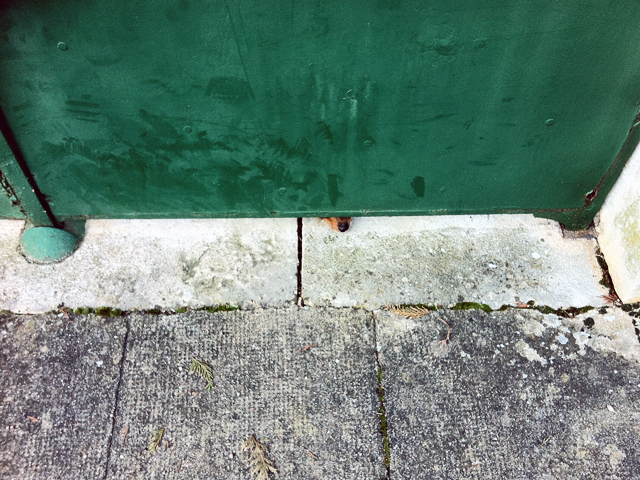 I liked your gate post but I really love this post and “the snouts”. So cute! Thank you thank you! There are many more of them, but they were no where to be seen or heard this past weekend. The next time I go I will try to photograph more of them. LOVE this! 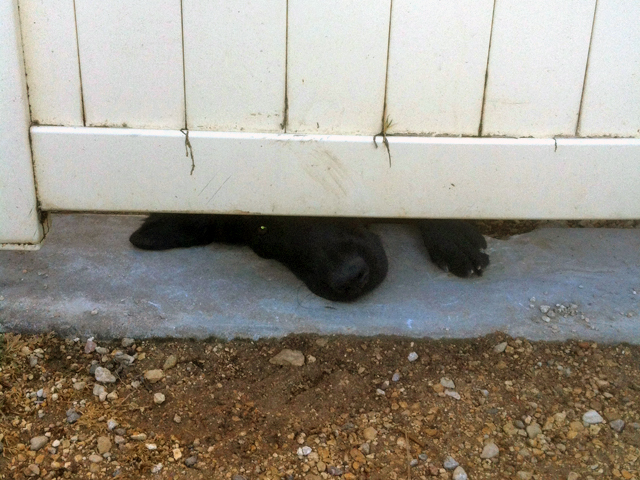 We have a neighbor who cut out a square in their fence just at their dog’s height. Nothing like walking along the path to see a whole HEAD sticking out! I am a sucker for dogs. Don’t know when that happened…but it’s certainly the case now. Milanese dogs are very different…but that’s a post for another day. celui-ci a un endroit spécial dans mon coeur. Chien joli. Now here’s a side of you I didn’t know about, Catherine! Hmmmm…..
I’m looking forward to seeing more French (and Italian) dog shots. Chien joli!